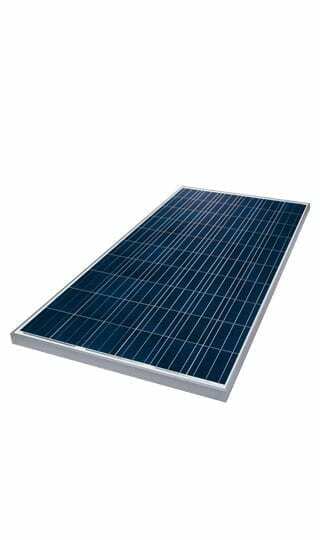 The Luxor ECO LINE P60-270W Poly Solar Panel with blue surface is the best guarantee for highest efficiency. It is especially suited for industrial scale projects. Its remarkably high wattage and the relatively low voltages make it possible to install more modules in series, so that the inverter can be designed more economically. This makes the Eco Line 60 really ideal for industrial scale projects – from the open-field plant, through the tracking system, to the roof-mounted installation. The polycrystalline cells with a size of 6” are leading in the field. Your advantage: They can be produced more economically and are marked by their low temperature coefficient. Luxor Solar has developed and produced high-quality solar modules of the highest German engineering standard since 2004. The company attributes special importance to long service life, reliability and stringent standards with a 100 % quality inspection. This also applies to the licensed partner productions in Asia and Europe, employing a sustainable manufacturing process for Luxor modules. Powered by Luxor Solar‘s experience from an installed capacity of 5.1 million modules in more than 30 countries and its own subsidiaries in Shanghai and Tokyo, Luxor Solar GmbH is working on tomorrow‘s energy concepts. Pragmatic management and solid products are the foundations of Luxor‘s success. The various ISO-certifications prove the quality approach of the self-financed and independent company. Join our ZERO Home Bills Community. BEST Products from the BEST Brands at BEST Prices for ZERO Home Bills on ZEROhomebills.com by Solaranna.